HP TouchPad Go is a 7 Inch WebOS Tablet… WTF HP? HP is possibly the most undecided company ever, since they’ve been going back and forth on their decision to give up the TouchPad and the entire PC business for that matter. Now, after the10 inch TouchPad WebOS tablet seems history, here we are with a 7 inch model, so one can’t help but ask… WTF HP?! This 7 inch unit is called the TouchPad Go and it’s powered by WebOS, but there’s something you must know: this product will never make it to the market. Back in August HP decided to give up on WebOS and they’re still going that way, so sorry guys. What you see here is a product that could have been mildly popular, if it would have been priced right. The pics come from Chinese website Palm Joy and this looks like a 4:3 aspect ratio device, looking very much like the 10 inch brethren, maybe a bit thinner. The Home button is on the long side now and this model is 3G capable and supports a 1024 x 768 pixel resolution. All of these are irrelevant, considering we’ll never see the product on the market. Keep in mind that HP has left over units of the TouchPad Go, around 100k units to be more precise. Will they do another fire sale of the 1.5GHz Snapdragon slate, with 32GB of memory, 5MP back camera and NFC? Recently HP was telling everyone that they’re out of TouchPad units, but apparently some units are left, since the US company is offering them to developers. Said devs can purchase them for as low as $149.99, in the 32GB version. All they have to do is send a request for the discount coupon by November 18th and you will complete the purchase by November 27th. If you won’t manage to get one, know that it’s the fault of stock problems, since everyone will be rushing to get one. People can’t wait to try to get Honeycomb on this slate, that comes at a budget price even now. We remind you that the TouchPad fire sale began in late August and in some places it still goes on. 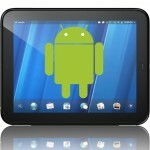 Too bad that webOS will be given up by HP and too bad that the hardware on the TouchPad is not as good as its rivals’. Of course, if you’re a developer and want the TouchPad for the price above, know that the usual rules don’t apply, so you don’t have to send the device back. HP CEO Meg Whitman recently confirmed that the company she leads is looking into the creation of a Windows 8 tablet that will launch next year. She also said that HP seems to be trying to do too many things at once, which is not the best of ideas nowadays. Whitman is confident that doing some small things in a good way is better than doing a lot of things in a poor way. These comments fit the recent rumors saying that Dell and HP could both enter the Windows 8 tablet segment in Q3 next year. WebOS is most likely getting canned or sold, with some sources saying that Amazon and Samsung have shown particular interest in this platform. The next couple of months will be the ones that decide the fate of the operating system that was taken over with Palm. It would be a pity to see a company such as Palm getting destroyed after so many years of work… however, if this helps progress and innovation it’s inevitable. Well, in a move that reminds me of some Asian company selling tablets with fridges or washing machines, Best Buy has decided to make an offer that you won’t refuse: a HP TouchPad bundled with a HP computer. We all know that WebOS is pretty much doomed, but the TouchPad (and its Android ports) has received a lot of attention recently. The reason? Its incredible price ($99) and the Android port that seems to be approaching a more stable version. Best Buy now offers you a go at the slate , in its 32GB version priced at $149. However, this offer requires that you buy a HP PC as well as the slate. Earlier this week HP announced that it gave up on the plans to sell its PC division, but the TouchPad, webOS and the employees from the mobile division will be canned. Well, color my goose and slap me silly! Looks like there was still a few more HP TouchPads stashed somewhere after their big fire sale to go around. As it turns out, Best Buy will begin selling the 32GB version of the Android-hackable TouchPads for $150 but this time under one condition — customers looking to take advantage of the deal must buy an HP computer to go along with it. Those shysters. The deal kicks off on November 1st and you best believe Best Buy will be advertising the deal across all the usual channels like the front page of their Sunday ads. Oh- if you’re feeling a bit wary about purchasing an HP computer after you know – the whole talk of them pulling out of the PC market, word on the street is HP may have changed their minds. Nice to know your computer will at least offer some level of support. HP TouchPads on the other hand… well, you’re just going to throw CM7 on there anyway. HP today announced that it has completed its evaluation of strategic alternatives for its Personal Systems Group (PSG) and has decided the unit will remain part of the company after all. The move comes after a shock announcement in August where the company, then commanded under a different CEO, said that it might sell off the popular and profitable division that looks after PCs, laptops, smartphones, and tablets. The decision by CEO Whitman is understandable. HP is the number one manufacturer of personal computers in the world with revenues totaling $40.7 billion in 2010. 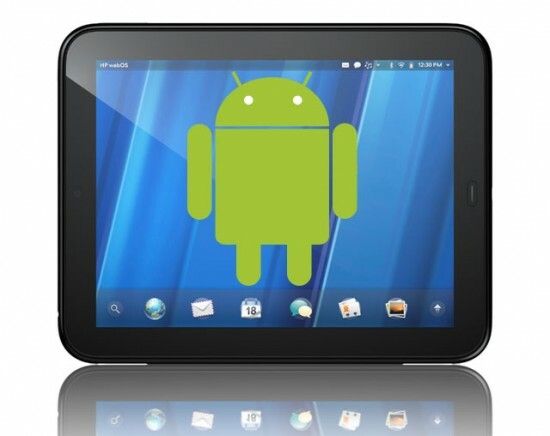 As for webOS, Whitman and Bradley have said that HP has yet to make a final decision as to the fate of the operating system. According to the pair, the company will make a decision in the next couple of months. There’s a been a trend lately to revive the freshly deceased HP TouchPad tablet, that was confirmed as discontinued in August. Lately, the cheap tablet (thanks to a price reduction) has been receiving Android and now it seems it’s ready to be completely revived with Windows 8 on board. The move was apparently decided by new HP CEO Meg Whitman. HP employees are claiming that the company is testing the TouchPad with Win 8 in “proof of concept” phase. This could be a mere test, serving as a prototype for a future tablet, mostly because people might be cautious after what happened with the original TouchPad. Rumors about HP’s potential sellout of the PC/tablet/phone area still continue with HTC, LG, Nikon and Amazon as potential buyers. Samsung could also be interested in taking Palm off the hands of the company for its webOS goodies. Considering HP’s relationship with Microsoft, a Windows 8 TouchPad is not totally a remote possibility.